Indie Retro News: TERROR OF THE VAMPIRE! 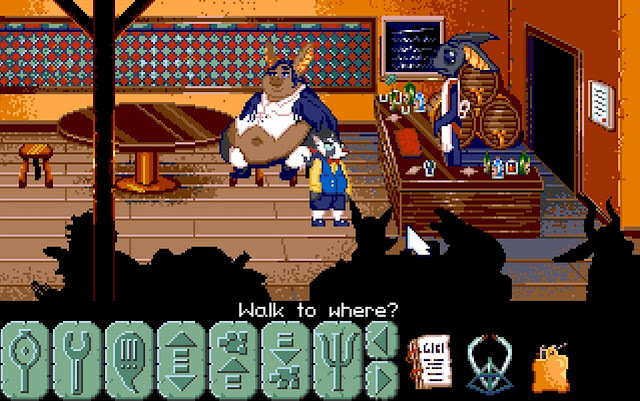 - A charming adventure game that looks well worth playing! TERROR OF THE VAMPIRE! - A charming adventure game that looks well worth playing! We haven't featured many Adventure games lately, so change all that the first game for mention is ' Terror of the Vampire ', which we feel really stands out as it looks positively brilliant! This game by Eggie, Scavenger, and Samael, was created for the MAGS June Special Edition "Rescue", which means the game was entered for a competition and had to fit a rescue theme. In regards to the story, In the vaguely 19th century, in vaguely Eastern Europe, a vampire menace grips the countryside! The menace of superstition and the belief that vampires exist! Join Dr. Ego Goodmind, BHD, as he does research for his newest psychology book, The Empirical Vampirical. Although the game is probably a short one, seeing as it is only 24mb in size and created for a competition. 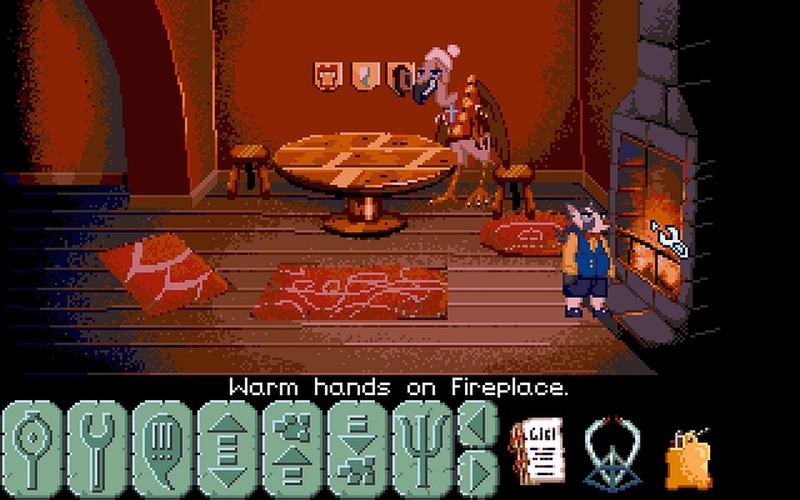 Terror of the Vampire features a unique UI to something of a strange Egyptian code, 8-bit graphics with hand programmed raster effects, lots of puzzles and obtuse characters, lots of animations, and according to the forum post a searing critique of contemporary psychiatry (assuming you live in the 19th century). In all, Terror of the Vampire sounds and looks like a great game, lets just hope it ends up as a full release, perhaps on Steam?